Ah, the weekend is here! MUAHAHAHA!!!! That means I'm going to do... exactly what I always do, regardless of the day of the week... man, I need some excitement around here! As I write this, it is Saturday around mid-day. I pick the Wagner Women up from the airport at about 7:30 tonight. The house has stayed surprisingly clean the whole time they were gone! It's like magic! Usually, I can pick a room up, and then not long after, pass through it again and there's stuff everywhere again. One of the benefits of having a 4-year-old, I suppose. It's eerie to straighten a room up, and then pass through hours (days?) later and it's still clean! Go figure! Watched Inglorious Basterds last night - got it from Netflix. I'd seen it before, so I planned on just skipping around to the scenes I liked most, but I ended up watching every wonderful minute of it again. Man, what a movie. Of course, there's things about it I would have done differently, but hey, I'm sure that holds true for everyone. It was a treat to watch Christoph Waltz acting so well in so many different languages again... but my favorite section of the film didn't have him in it at all (well, until the aftermath). The scene(s) in the basement bar with the spies and the SS officer. Awesome. I may soon have to bust out a new episode of These Are A Few of My Favorite Scenes and feature that stretch of IB. I picked up a slew of books a couple weeks ago, mostly from new authors that I hadn't tried yet. Among them were a pair of books by Fantasy author K.J. Parker, including this one, The Folding Knife. I heard of this book on one of the many Fantasy/Sci-fi blogs I lurk about on, I don't recall which. But the blogger said thus far, it was the best book he'd read all year, so there you go. The main character is called Bassianus (Basso) Severus. The best way to think of him is a sort-of Caesar for a sort-of Rome, except his title is First Citizen, and his people are called the Vassani. He's a terrifically realized, robust character, who is whip-smart, clever, witty and crazy-ambitious. But at the same time, he is fraught with foibles and self doubts. He's a ruthless businessman, with a heart. Yeah, I know that sounds contradictory, but trust me, it works. The story structure is your traditional "rags to riches to rags" story, with humor and tragedy co-mingled in equal parts along the way. Basso is elected First Citizen, and sets out to re-write the rules in order to best serve his own pocket, his own interests, and interestingly, the people as well, in equal parts, at the same time. So while he does incredibly out-of-the-box things that have his opposition tearing their hair out at every turn, it always seems to work out for the best, for everyone involved. Until he pushes things too far, of course, and it all crashes down on his head. At this point, it doesn't much matter what happens in the story - the thing I found so ridiculously unique and refreshing about this book is that it was truly all about the journey, not the destinations. It was so easy to read and enjoy, as you follow Basso from one situation to the next, it could have been a collection of loosely-linked short stories for all I cared. He's so smartly written, it's almost like reading a Tom Clancy novel, where you're educated as you're entertained... except Clancy is far more stuffy and technical, whereas Parker never loses that edge of enjoyment. I never had to "push through" any scene - it just rolled and flowed and was a joy to eat. Three days before the twins were born, Antigonus came in late. Instead of sitting down and reading through the morning reports in silence, he solemnly placed a small wicker basket in the centre of the exchequer table and took away the napkin that covered the contents. Antigonus looked at him gravely. "We're celebrating," he said. Amazing behavior. "Celebrating what?" Basso asked. "The baby hasn't come yet, if that's what..."
The old man lifted a large round simnel cake out of the basket and looked round for something to put it down on. "We're celebrating," he said, "the end of the war. King Moemfasia surrendered last night." What war? He had to think about it. "The Metanni," he said. "The dispute about the Strait of Neanousa." "Correct." Basso felt as though he'd just earned a bonus mark. "We now control the whole of the east coast as far as the Soter Peninsula." He paused. "Well?" It was as though someone had knocked a hole through into a walled-up room in the back of his mind. "Which means," Basso said, "that we can shave two days each way off the grain run to the Euoptic..."
"Which means we can undercut Ousa on bulk grain to the southern market and put them out of the game altogether..."
"And," Basso chanted triumphantly, "that explains why you insisted that we buy seven thousand shares in the Asinarii shipping line, the day after they announced a massive loss and the price dropped sixty percent..."
"Because the Asinarii bought the east coast route when it was worthless, and nobody believed we could beat the Moemfasia at sea." He stopped and frowned. "But it was impossible. Well, you know what I mean. Highly unlikely. What made you think..."
Antigonus actually smiled. "Hint," he said. "Barrel staves." "Oh." The hole in the wall became a huge breach. In fact, there wasn't any wall left. "That report from our agent in Soter City about the large consignment of barrel staves that went down in a storm." "Excellent." The smile broadened. "And?" "And without seasoned barrel staves you can't make barrels, and without barrels you can't carry water, and without water, you can't keep a fleet at sea for more than a day at a time, which meant that Moemfasia..."
Antigonus nodded slowly. "Exactly so," he said. "I deduced that the King would try and find an alternative source of supply, but he would fail, because..."
Basso laughed. "Because four months ago, you ordered our man in Artouche to buy up all the seasoned planked oak he could find, which you then sold to the government at a five percent mark-up." Basso nodded furiously. "And at the time I wondered why you were going to so much trouble over a deal that barely broke even after costs." "Actually, we made money," Antigonus reproved him, "but you're quite right, it wasn't worth the candle as a deal for its own sake; though we did impress the War Office with our patriotism, which will stand us in good stead when the next round of supply contracts comes along." Basso laughed. "But actually, you won the war." "I suppose so." Antigonus shrugged. "I knew we would eventually, so that's beside the point. What mattered was the timing. That was what I had to control precisely." "Oh, come on," Basso said. "You must admit, there was a bit of luck involved." 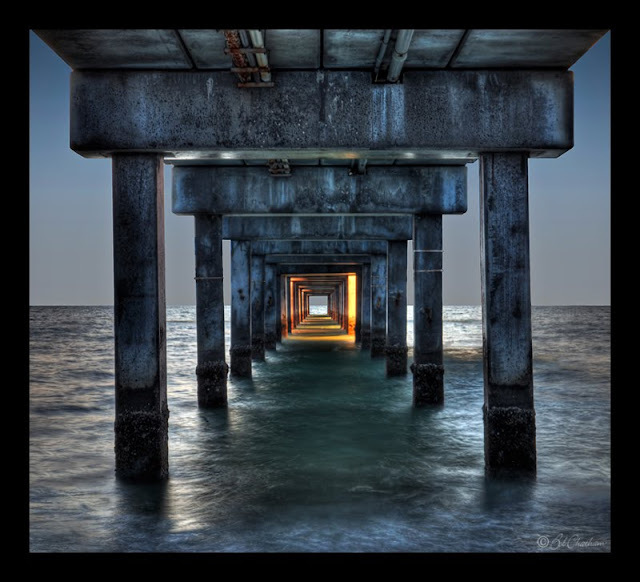 "Not really," Antigonus replied quietly. "At the same time as I was negotiating the sale of the stave lumber to the War Office, I was corresponding with the King through the Soter City office. As long as the King thought there was a chance of getting the staves, which he knew I had, he'd leave his fleet where it was, in the bay. Naturally, I had no intention of selling to him, but I was able to keep the war going until the Asinarii announced their results, at which point I broke off negotiations with the King, which left him with no alternative but to try to beat us once and for all in a major pitched battle. On my advice, your father persuaded the Senate to recall Admiral Carausius, which meant our Navy was temporarily leaderless and unable to engage the enemy. At that point, the King's time ran out and he had to surrender. No," he added, wiping a penknife on his handkerchief and cutting into the cake, "luck didn't really have much to do with it." Granted, not everything in The Folding Knife is about these wild, high-level workings of business and politics--there are plenty of other characters and interesting social interactions and fascinating philosophical musings as well--but these types of scenarios and machinations as illustrated in the scene above were among the highlights for me. Seeing the way seemingly-unrelated business ventures strung together with political scheming served to alter the course of society and history was wildly interesting to me. I could also post examples of the fun dialog exchanges between characters that illustrates Parker's mastery of effective humor, but I don't want to push my luck. I don't know much about copyright law, but it does say in the front of every book that you can't really reproduce parts of the book without permission, which I do not have. Still, I trust you get my point. What happens on the macro level and how it furthers the story is (to me) nowhere near as fascinating as watching Basso interact with those around him, in the different spheres in which he travels, and how he embraces with such pleasure the types of massive conundrums that all leaders must face, likely with fear and angst. He is a great, memorable character. Summary: 4.5/5 Highly enjoyable book, for the central character more than for the world in which he dwells or the storyline on which he travels. I thought it was cool to watch the sky open up like that, as though God had finally said, "Enough! That does it, I'm coming down!" There are dozens more videos on You Tube if this sort of thing interests you. Congratulations to Rebecca, who graduated and now has her degree. She'll be a book editor before we know it. Thanks Dave! My graduation was wonderful. 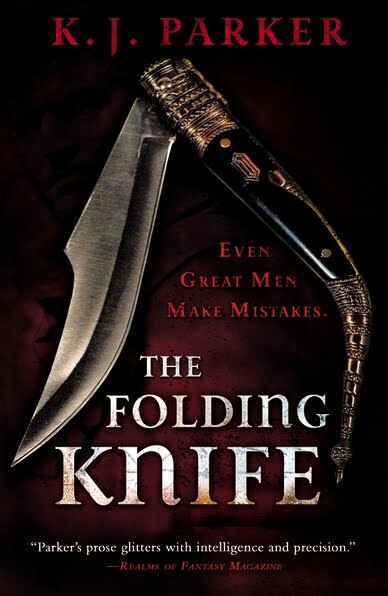 I am looking forward to reading The Folding Knife. Good review. 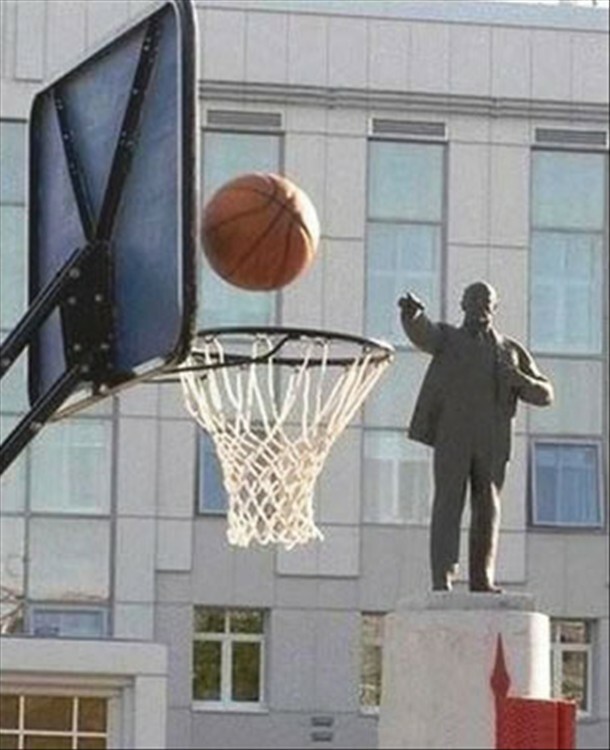 That picture is of Lenin, btw. We got some crazy weather here when that storm was up in Oklahoma City. We've had multiple tornado warnings as well...some actually touched down about 45 miles north of me. Crazy! yay with Calvin and Hobbes... "basterds" is a fantastic film, but it really demands a whole lot of the audience. I can relate to the wanting to skip around to favorite scenes, but for a film like that, it just won't come off as well. Therefore, it's probably going to be a film I'll watch very rarely, the amount of energy it takes to invest in watching it is great, but it is a fantastic film. Lenin ? How would you know ? 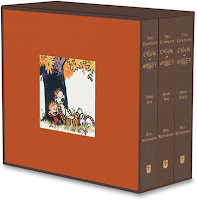 I've had my eyes on the Calvin & Hobbes set for a while now, but I can never justify the cost. Awesome stuff, friend. And great review. I'm not sure if it's something I'd like or not, so it'll go on the back-burner for when the TBR pile is low. I actually did something different this weekend. Amazing, no? Wouldn't self-cleaning rooms be nice? Sort of like self-cleaning ovens: you spray something in, close the door, flip a switch, and Voila! Clean room! I would love the Complete Calvin and Hobbes. It's my all time favourite comic. I still haven't seen Inglorious Basterds, and I probably won't. Too intense right now. And if someone could explain to me why "basterd" is spelt with the 'e', I'd be eternally grateful. It's been bothering me since I saw it on the cinema sign. I'm weird that way. Cool videos. The first one looked like a whale slowly opening it's mouth. The second...I love watching hail, and I've always liked being in them. Probably because at the time I owned no car.